Inbetween the 70 degree days and the 35 degree days with light snow flurries, the Spring flowers have finally started to push their way up through the madness. We went for a couple of exploratory Hikes to see just what is starting to happen in our local Parks. Sprouts are starting almost everywhere. Not in an extreme manner, but still starting non the less. We actually need about a week of temperatures above 50 degrees and it will all just break loose. Until then, it will be a slow process. 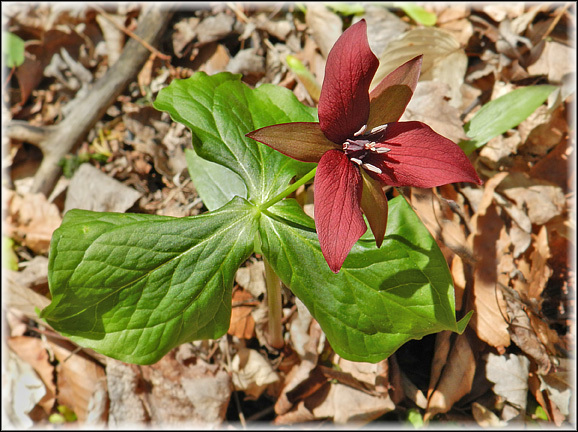 A rare RED Trillium. Rare for this far north. We found certain places that had alot of south facing hillsides to be the most productive right now. The extra warmth there are instigating many different flowers to start their Spring blooming. Even many of the bushes and trees are moving very slowly at budding and blooming. I cannot imagine the strain on many of the returning migrating Birds. 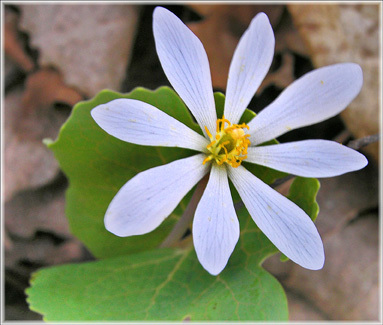 The Blooms and warmer weather that instigates the Spring Flowers, also help to start up the insect populations. These returning Birds need these insects for a food source as they build their nests for this years youngsters. The pressure must be great on many of these other critters as well. All of whom depend upon certain plant life and insects to be coming alive right now to feed their long winter appetites, or in preparations for their new youngsters. Take a Hike and look closely. You will see that the Flowers are trying, the insects are just starting up and in the right locations the bushes and trees are budding and waking up from winter. 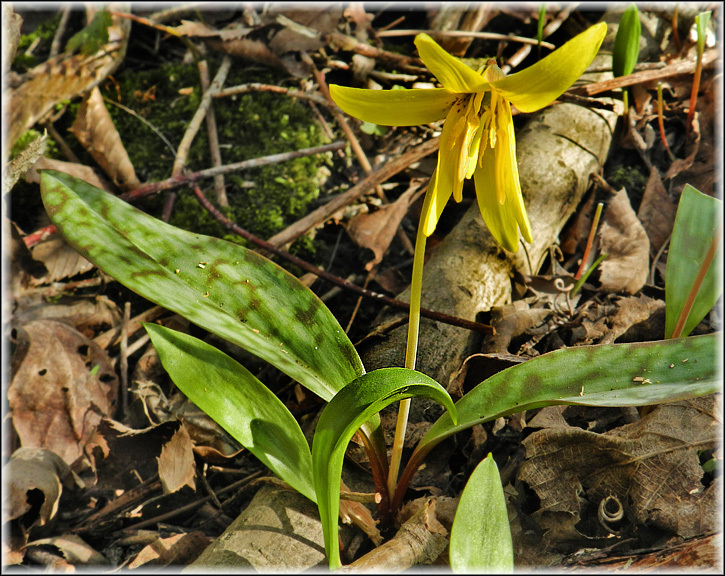 We found many Trout Lillies leaves, but no blooms yet. 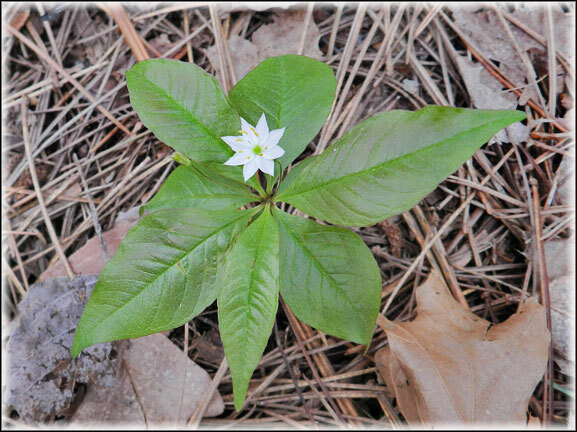 The same went for Trilliums and Blood Root. We are right on the edge of it all taking off. After my last post about Southeastern Michigan Spring Flowers, our good friend in Birding, Dr. Bob, sent me a number of emails with places to best view Michigan’s Spring Blooms. He contacted many of the Birders he knows, who are out in the field heavy at this time of year because of the Bird migrations taking place right now and over the next month. He received quite few responses and put them together here, for us. Preserve in SW Washtenaw County. It’s near Sharon Hollow. 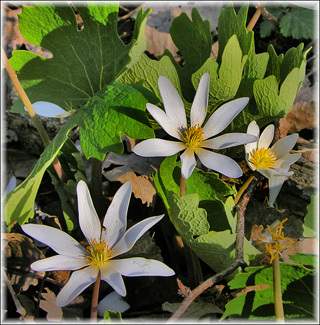 devoted to native plants especially as relates to their use in gardening. but a good resource for these types of questions. In the vicinity of Milford, there is Kensington Metropark, and the forests near the nature center have some of the best spring shows around. Interpreters at the nature center can give you some very good suggestions. The show has begun. The birding is very good too. There must be plenty of nice waterfowl on the lake now. Before the deer surge, the displays of showy trilliums were spectacular. I think they have recovered a bit after the deer herd was reduced. 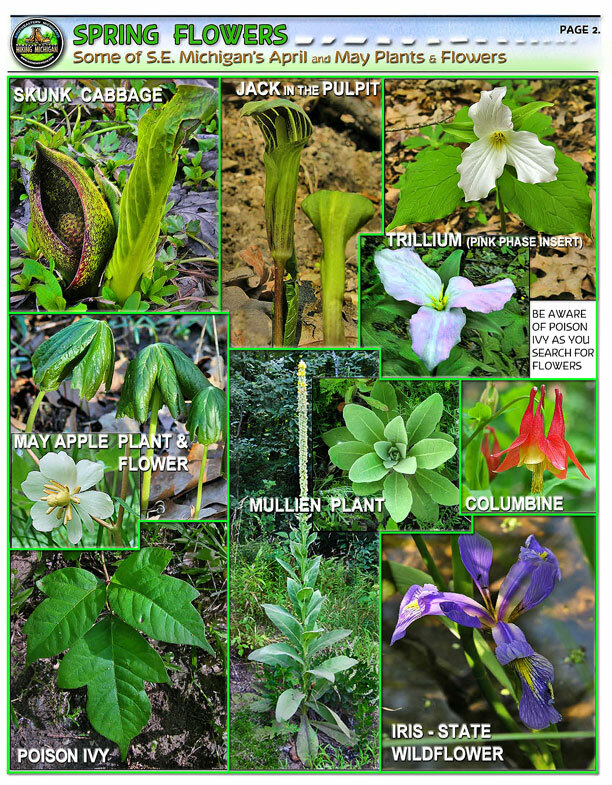 Those interested in our flora might also find the Michigan Botanical Club helpful. Celebrating wildflowers! This is the National Forest Service web site with Links to the various Parks and their Wildflower viewing. We are at the very beginnings of what soon will be the BIG BLOOM. When it seems like all the flowers are presenting their beauty at one time. 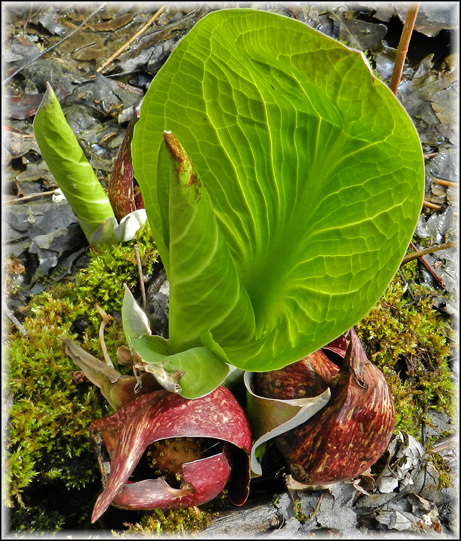 One of the very earliest of Spring flowers here in Southeastern Michigan is the Skunk Cabbage. It’s flower really doesn’t look much like those beautiful wild flowers to come, but it is non the less, the earliest of spring blooms. 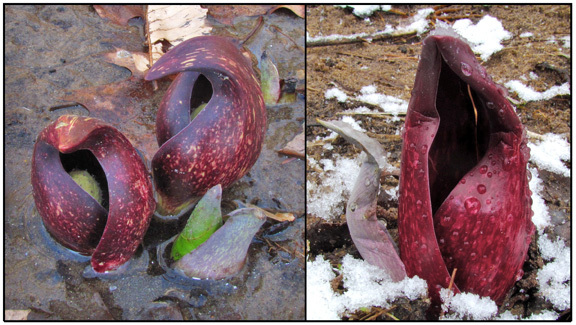 It is not uncommon for Skunk Cabbage to even push their way up through the melting snow. 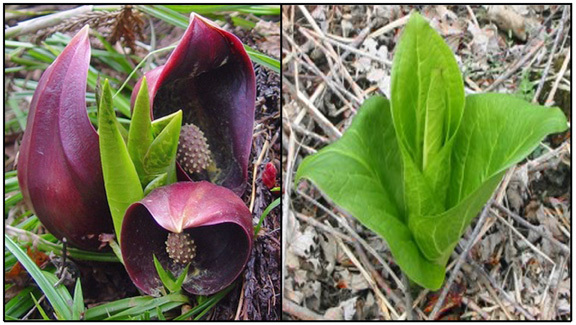 The plant prefers a swamping habitat and thrives in that deep black, water soaked soil of a swamps edge or stream bank. 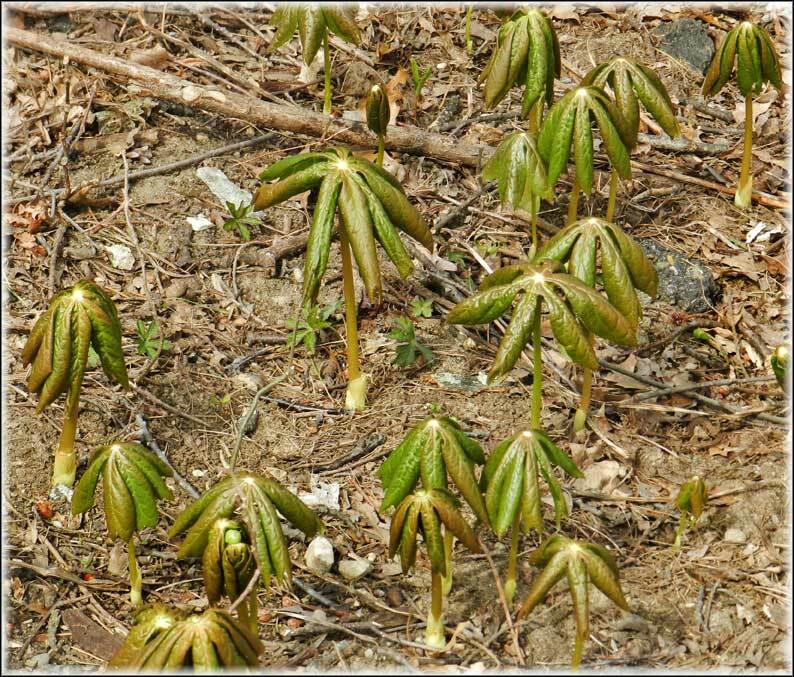 Like many other plants in Michigan, it changes dramatically as the year moves forward. In this early Springtime, it appears as a twisted cone, with an almost alien looking knobbed ball inside. 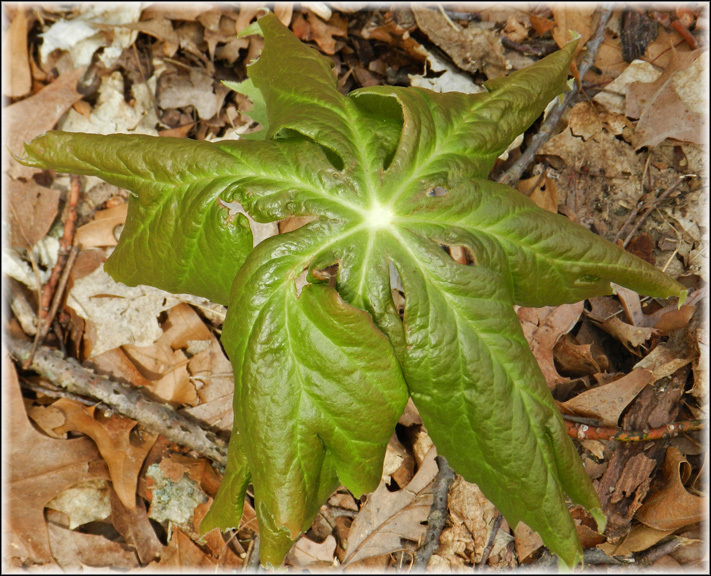 This will quickly give way to a very green leafy plant that will open to an almost 3 foot wide spread of giant green leafs. 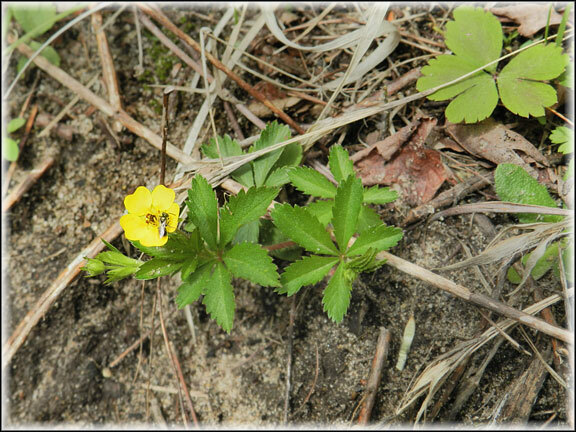 You will see many of these together along a swampy area like a blanket of green. The growth rate is amazing. 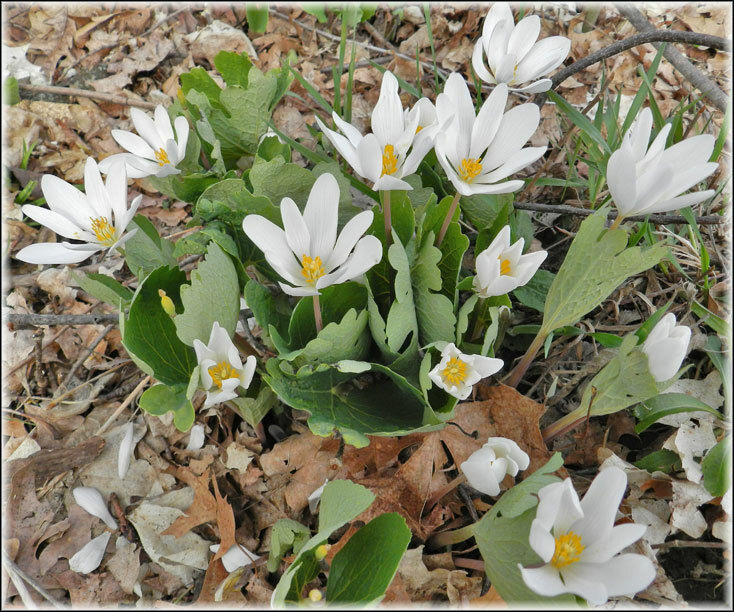 Probably the next earliest bloomer in Southeastern Michigan as Spring flowers go, is the Blood Root. Some people will debate this plant as being the earliest of flower blooms, in but in this area of S.E. 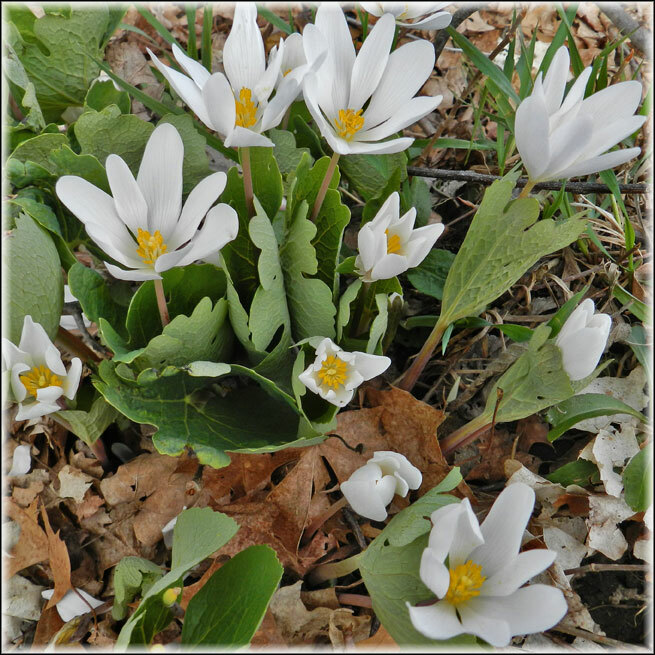 Michigan, I normally find the Blood Root, white flower to be the first real flower I mostly come across, this early in the season. The flower only lasts a week or so and then the only way to identify this very Cool plant, is by it’s unique leaf shape. You will want to learn this plant because of it’s many uses. The Native Americans used it for cloths Dye, as did our early Pioneers. It produces a bright red color, deep in the root. That red changes to a more orangey color as you come closer to the surface. 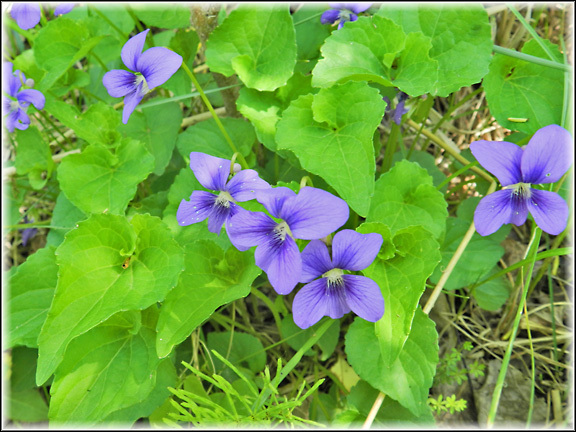 We are still a few weeks away from the Big Bloom of Spring wild flowers here in Southeastern Michigan. 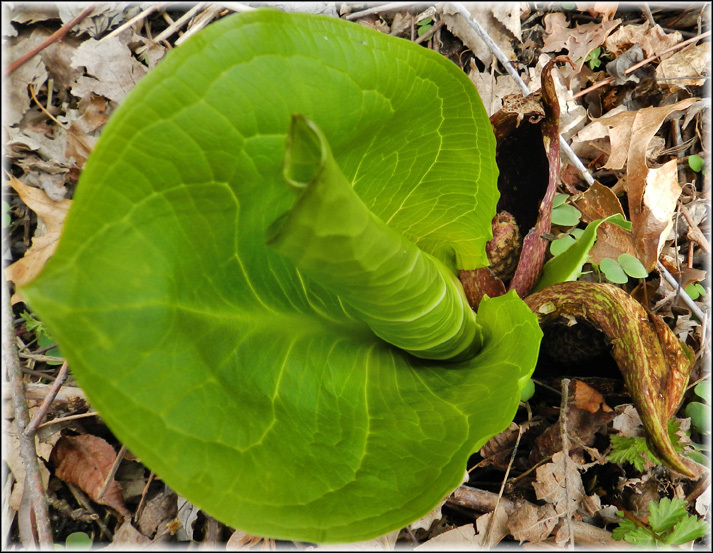 But you can find the Skunk Cabbage already, and very shortly the Blood Root flower will start to appear. 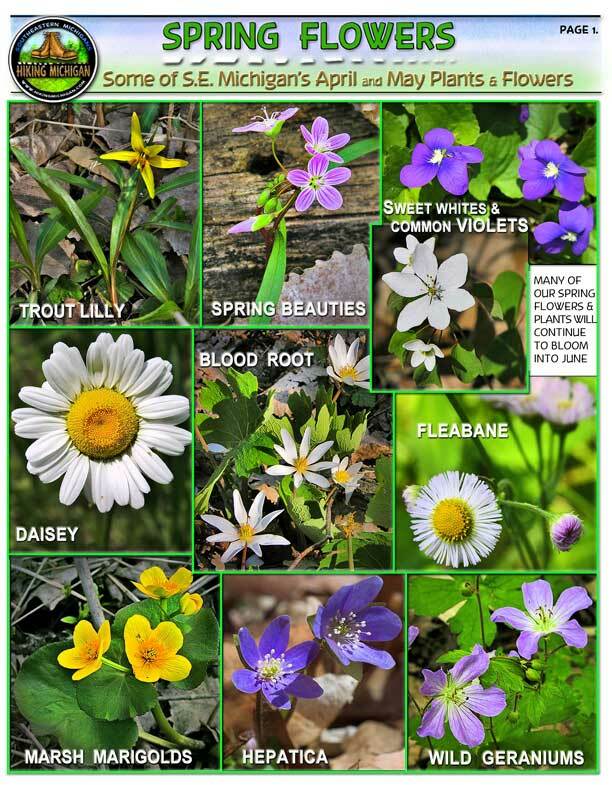 Check the Spring Flowers ID sheet we have put together for S.E. Michigan. We have not covered every single spring flower, but we have tried to cover the most commonly found flowers in this corner of our state of Michigan. 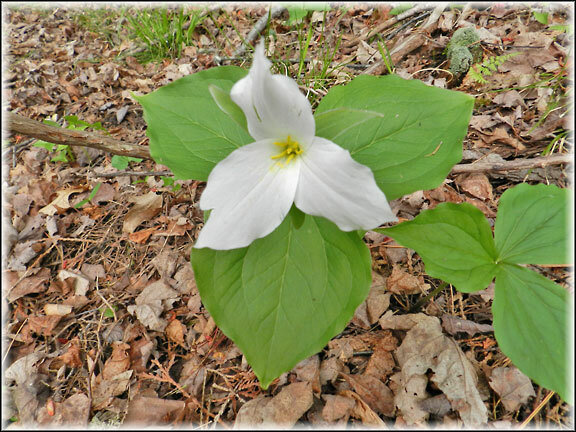 There are many other useful ID sheets and Outdoor reference guides on the Hiking Michigan web site, on the DOWNLOADS Page.